My sister whose words always move me and many others has shared this today, the third anniversary of the murder of our baby sister Cathy. The pain and the love she shares are palpable and they live together side by side and intertwined in the hearts of the six siblings who remain to mourn. 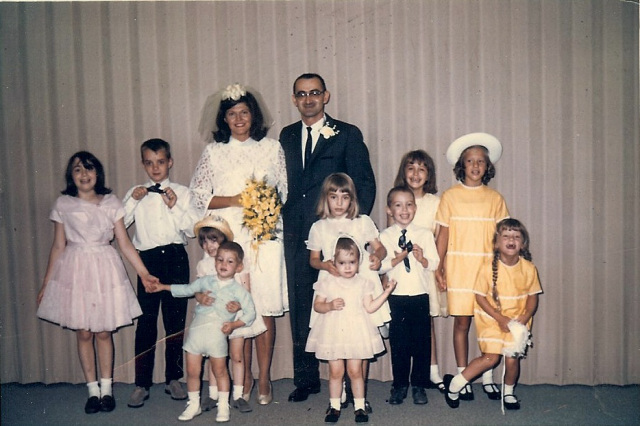 Cathy is the little girl in the front, right in the middle. Susan is keeping her in check! I wrote this letter to Cathy about six weeks after she was killed. It poured out of my soul along with my tears. Standing in the cemetery today, the tears just still pour down.